Rog is undoubtedly the most famous brand of bike in Slovenia. And there’s a simple reason for that, says Tevs, founder of Watermelon Bike Tours and my guide for the day. 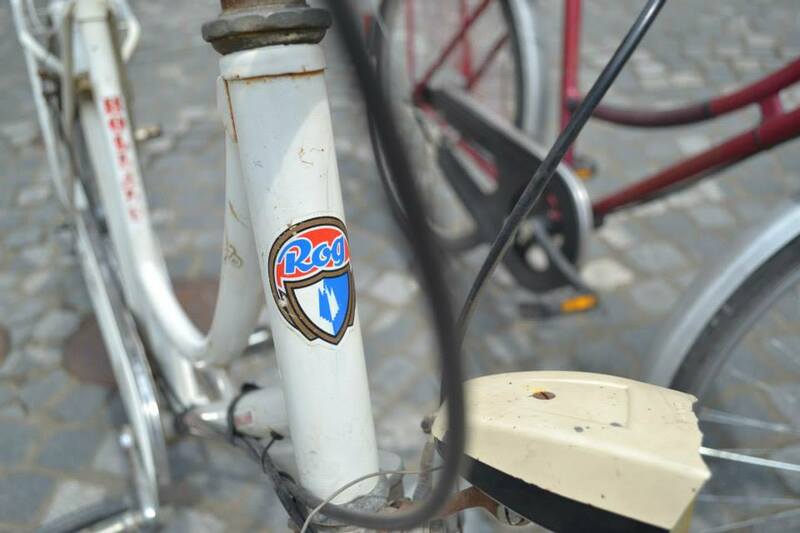 From 1951 to 1991 it was the only brand of bike in Slovenia. The brand and the factory were set up in Ljubljana, and even though a second factory later opened in Sarajevo, the bike’s spiritual home has always been on the banks of the Ljubljanica river, where the machines were constructed start-to-finish and then distributed across Yugoslavia. Whilst those days under Tito’s rule were kind to Rog, after Communism collapsed and Slovenia declared independence in 1991, the death knell also sounded for a company that could not compete in the new capitalist reality. 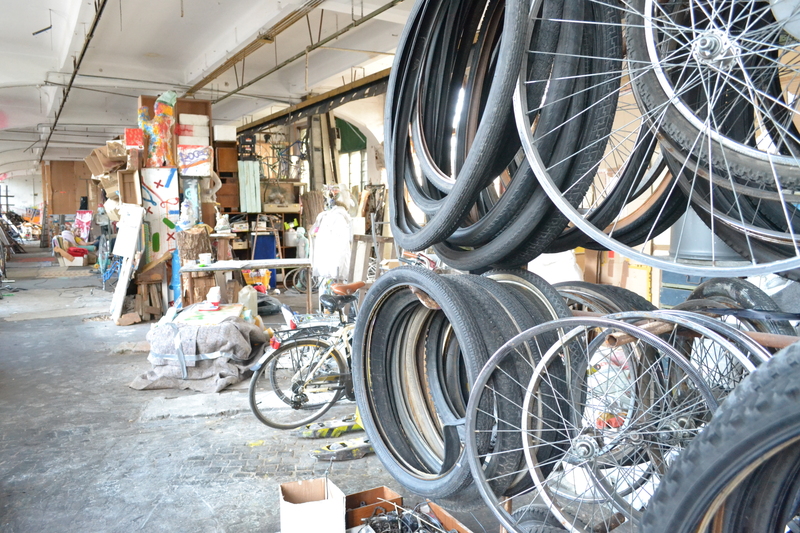 Attempts to move the factory to a cheaper industrial zone on the outskirts of town only delayed the inevitable and soon after bike production stopped. During the nineties and naughties, international brands flooded the market and naturally being seen pottering around town on a Socialist relic was the contrary of cool, as this freshly-formed country looked firmly to the future. 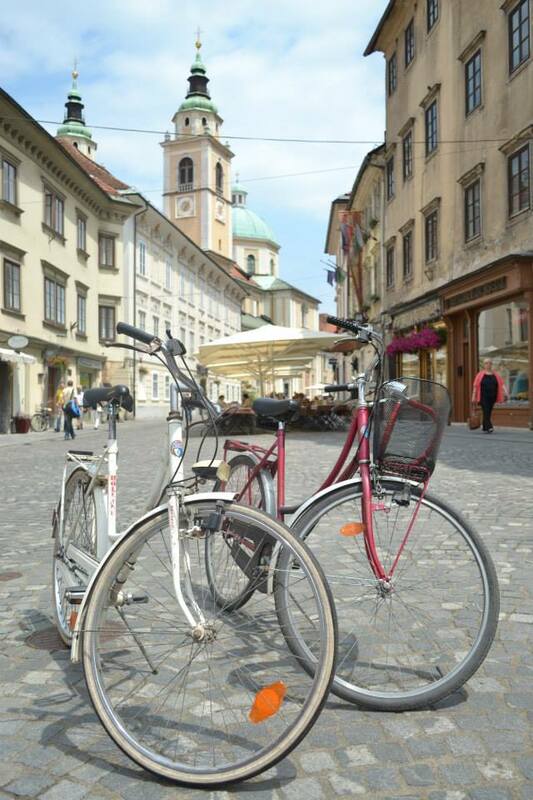 ‘Renaissance’ might be too fine a word… but… Ljubljana’s residents, rather than ushering these cranky dinosaurs into an early grave, have instead decided to wheel them out of their retirement homes and ride them for every last mile they are worth. What goes around comes around, quite literally in the case of the wheels of the Rog brand bikes, which are proving popular again, after a period of being distinctly unfashionable. The reason for this resurgence? The economic crisis. In these penny pinching times, there’s a generation of hard-up Slovenian students, artists and even businessmen who prefer to buy a bike for 30 euros and fix it up, than splash out on a shiny new mountain bike… especially as, after twenty years have passed, the Rog is now retro enough to be considered cool again. ‘Renaissance’ might be too fine a word, as the Rogs never really went away, but perhaps it’s fair to say that Ljubljana’s residents, rather than ushering these cranky dinosaurs into an early grave, have instead decided to wheel them out of their retirement homes and ride them for every last mile they are worth. (I like to think of them as the bicycling equivalent of a crotchety grandparent who, after years of being ignored, is brought back into the household, bad manners and all, so that they can be put to work in the garden, or left in charge of feeding the cat). Who let the Rogs out? Indeed, such is the ubiquity of these ageing hulks of steel on the streets that we’ve barely made it over the Cobbler’s bridge, the starting point of our tour, and we’ve already spotted two other Rogs, besides our own. 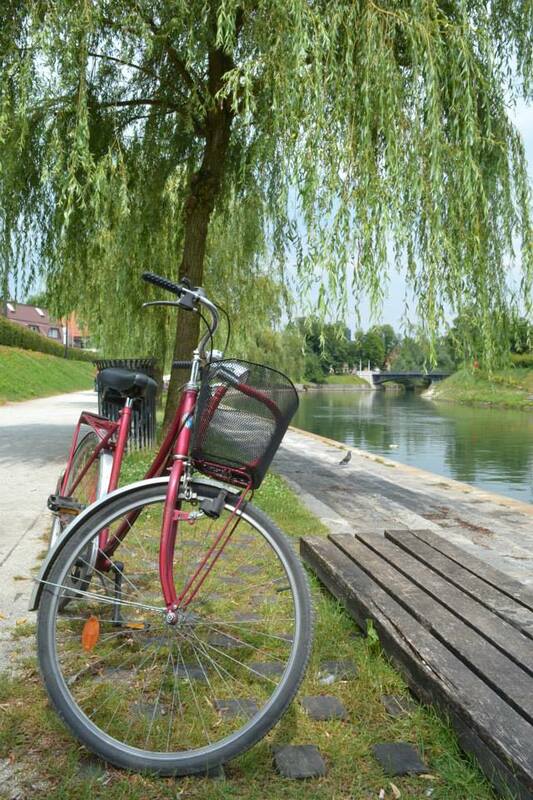 As we cruise comfortably down the cycling path by the Ljubljanica river, under the flimsy foliage of the weeping willows on the bank, I’m pretty pleased with the performance of my metallic-red Rog Holland “Dutch-style” bike, with simple three gear mechanism and sit up, comfy saddle…. even if I think Tevs’ own off-white number with retro front headlight is considerably cooler (his also lacks a rather effeminate basket out front). We cross back over the river on one of many more pontoons that span the Ljubljanica, and come to a stop where the river splits in two (half of the river’s flow is siphoned off into a canal, to prevent the city from flooding). Youngsters are milling about – it’s the last day of school – and Tevs sits down to tell me the story behind Ljubljana’s dragon, whilst a river rat pops his head up above the murky green waters, perhaps to listen to this account of man vs. monster (unlike Ratty though, you’ll have to wait until I write up this legend for The Fairytale Traveler! Update you can read it here). 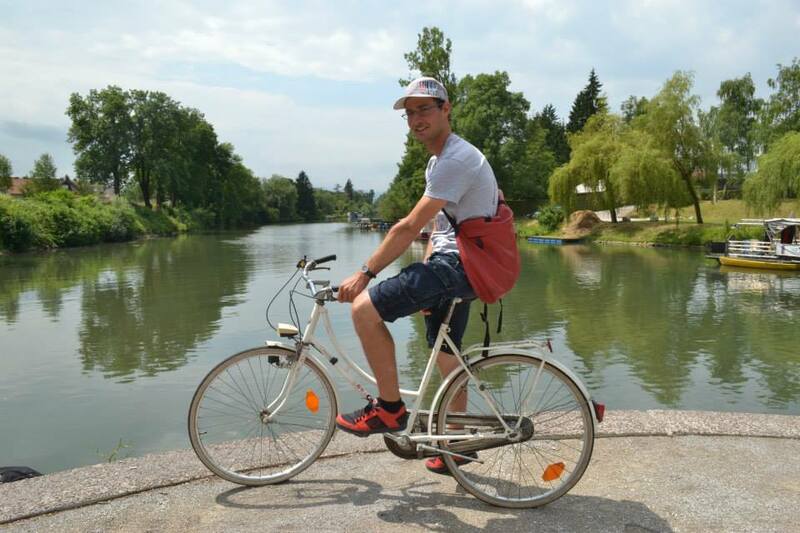 Tevs also tells me, in keeping with our cycling theme, that the world’s oldest wooden wheel was found right here in the marshes outside Ljubljana, a five-and-a-bit-millenia-old device, fashioned from ash, that was perfectly preserved in mud and is now exhibited around the globe. I’m disappointed to hear however that it had an axle and was obviously part of some type of cart, rather than a funky unicycle used by Slovenian villagers to race around the town. We carry on our merry way, circling around the back of the castle, until we rejoin the river further downstream, passing Josef Plecnik’s impressive Sluice Gate as we go. Now heading back towards town we encounter a vast, monolithic grey building overlooking the river on our right, four stories high, and maybe close to 100m long: it’s clearly designed in the Soviet style, and once upon time must have been an impressive edifice. Now every second window pane is broken and crude graffiti tags run riot along the lower part. In case you hadn’t guessed it yet, I’m describing of course the former Rog Factory. We circle around the back and into an untidy courtyard. Despite being told that the former factory is now the vanguard of the city’s artistic scene (by Tevs and many more locals), it seems there’s precious little going on. The main building is sealed shut, whilst some broken bikes sit outside an out house where it appears some counter-culture kids are squatting. An empty wine bottle lies in the bowl of discarded sink, and weeds grow from tyres filled with soil. The most noticeable activity is a small black dog chasing a much larger one around the yard. 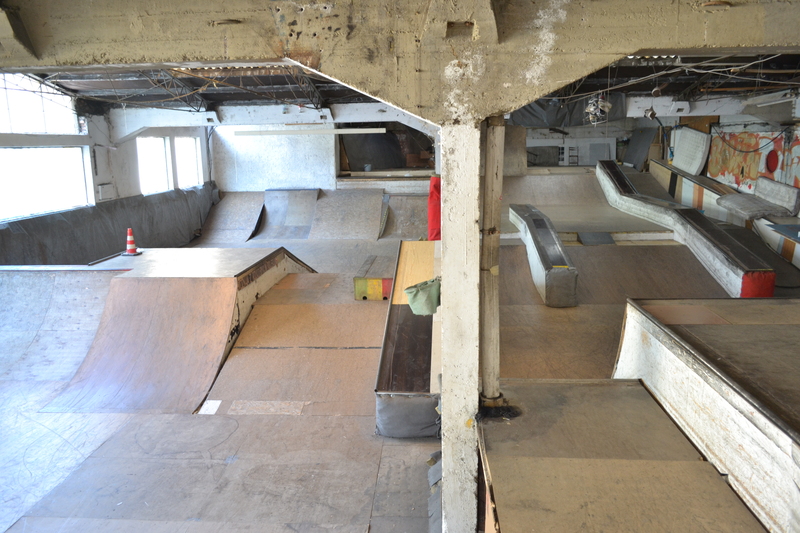 Compounding the disappointing lack of action, Tevs tell me about some of the facilities locked in the confines of the distinctly closed main building, such as a 500m2 skate park. When does it open, I ask. 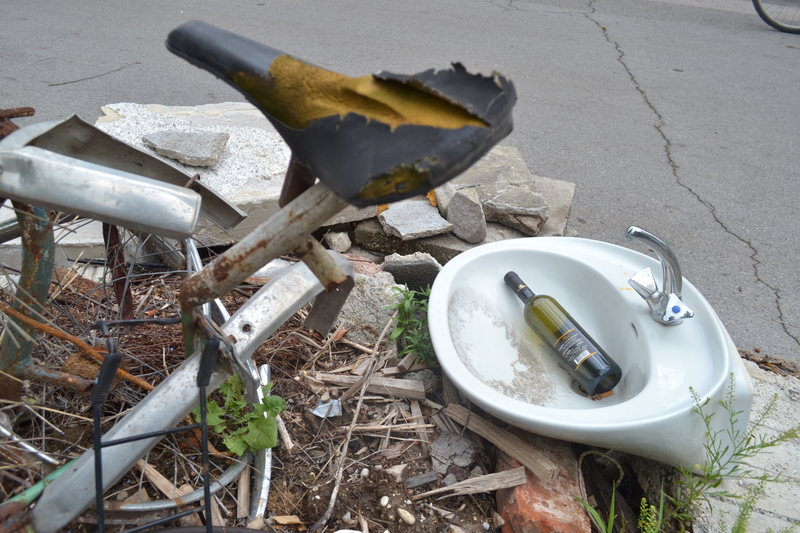 An empty wine bottle lies in the bowl of discarded sink, and weeds grow from tyres filled with soil. The most noticeable activity is a small black dog chasing a much larger one around the yard. “It’s open when the guys come to open it,” he says, fully aware of the absurdity of what he is saying. 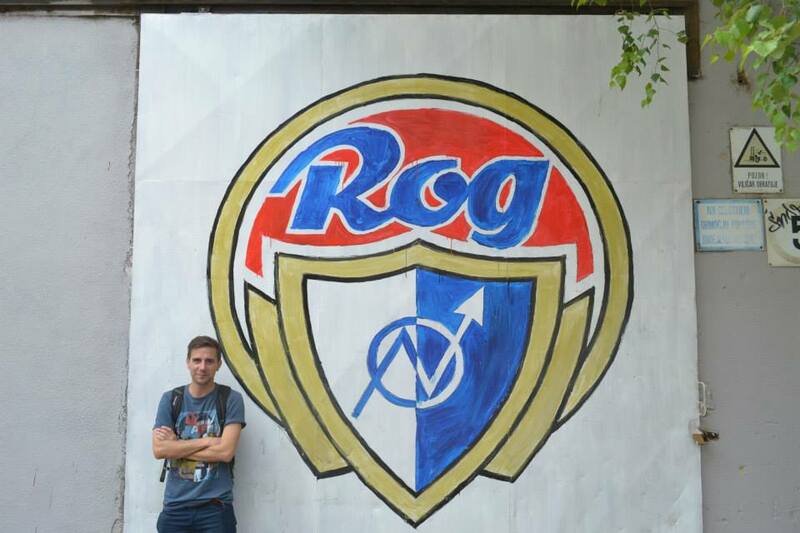 I pose for a photo with the Rog logo, painted on the wall of the main building, but I’m about to give up on the Rog Factory as a cultural centre when one of the squatters limps from the out house on crutches, one leg in plaster, to tend to the small vegetable garden in the centre of the yard. He turns out to be friendly enough, and says I should come back at the weekend, when the factory’s artists are opening the doors to the public. When I come back three days later however, early on Saturday evening, the scene that greets me is almost identical: there’s certainly no hive of activity to suggest an open weekend is in full swing. But at least the doors are open. The same dreadlocked guy on crutches greets me and says it’s no problem to enter. Passing through the first door and I’m greeted by a large room, filled with what might be rubbish, or possibly art, on all sides. 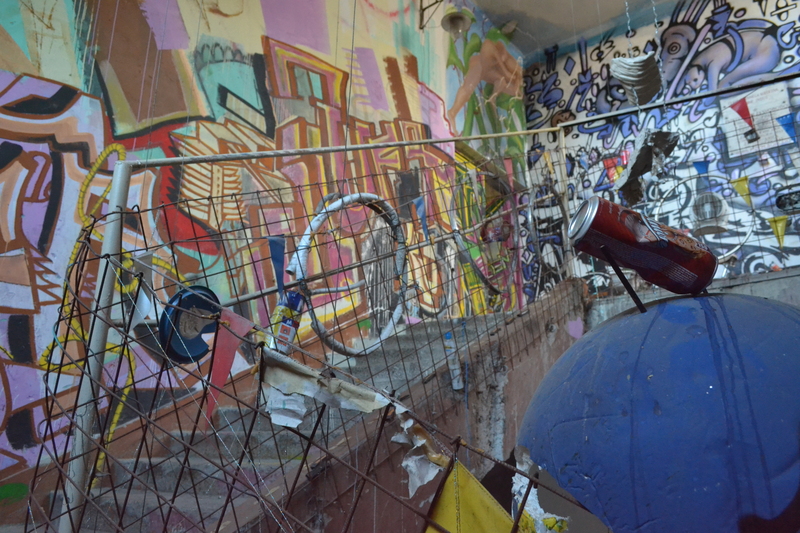 Papier mache style sculptures dangle from the ceiling, abstractly painted canvasses have been hung, or simply stacked up, on the walls, there’s some scaffolding underneath a basketball hoop, and a cement mixer. I pause to take a photo in the low light and continue my journey, finding a flight of stairs. They look like what I’d imagine the stairs of a school to look like, if the pupils locked up all the teachers in the staff room, and declared their own Maths-free utopia on the premises, with low level graffiti art covering ever square inch of wall space and empty cans of spray paint and beer strung up on the railings. I sneeze and alert a serious looking man with a mop to my presence. I ask this janitor/artist if I can look around and he points me towards a football salon, which it turns out he constructed himself. It’s simple enough, two hockey size goals with nets tied with empty cans of spray paint on either side of a large room with plenty of natural light, and pipes with tennis balls used to protect their rough edges. I like it, art with a purpose. After I’ve taken some photos I seek out the artist again, an earnest fellow, who despite balding, still sports some fine dreadlocks. 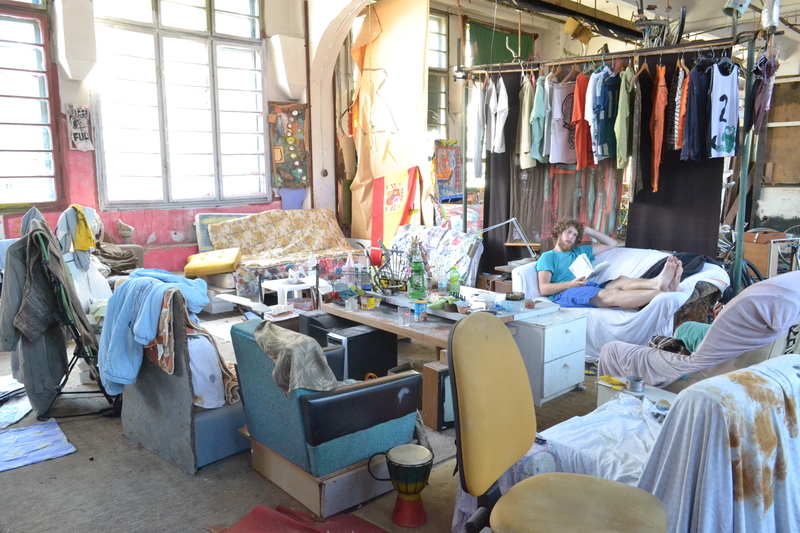 We talk at length about the building and about art in his very messy studio as he cooks himself a pretty average looking spaghetti dish; and although I can’t quite understand his broken English, he is such an empathetic and passionate fellow that I end up agreeing with everything he says. Despite our communication problems, I understand just about that the city own the building and let the artists use it as they will, on the proviso they don’t sleep/squat there. And moreover his seriousness, dedication and the works he show me persuade me for the first time that there is at least something worthwhile going on in this strange place, even if it’s hard to see how the general public might access it or appreciate it (I’m still the only one at the open day so far, which seems to have been advertised solely by one weather-battered poster on the front gates!). I am about to leave when I meet another artist, a guy called Andre, who is styled a bit more like a hipster, and a bit less like an eco-warrior. His English is near-perfect and he leads me into yet through a room chock full of bric-a-brac, where a heavily bearded guy is lounging on a sofa beneath a rack of clothes, as he wants to show me a dark room where a low budget vampire film set has been built by another resident artist… shooting has yet to begin though. 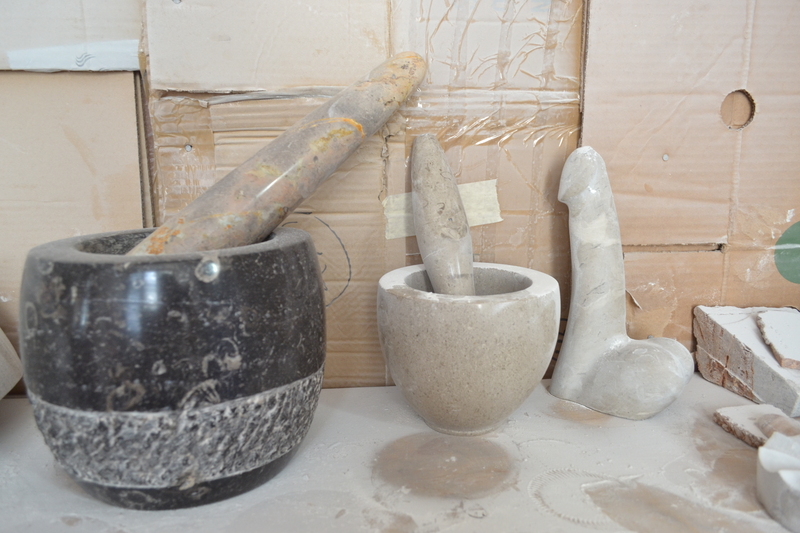 Andre himself is a stone-worker and he also shows me his own small studio, where amongst other things he fashions bowls, pestles and mortars… and penises. Outside his studio is also a rather cool Hindu elephant-god gun clasping a toy gun, which he says he made for a party. Andre is also kind enough to show me the skate park, which I was beginning to suspect didn’t really exist. In fact it’s pretty impressive, and a shame that no one is using it (although seems like there is some activity on their Facebook page). Going back in time to where I left us three days earlier, Tevs and I got back on our bikes and drive off to visit another of Ljubljana’s alternative culture centres, Metelkova. 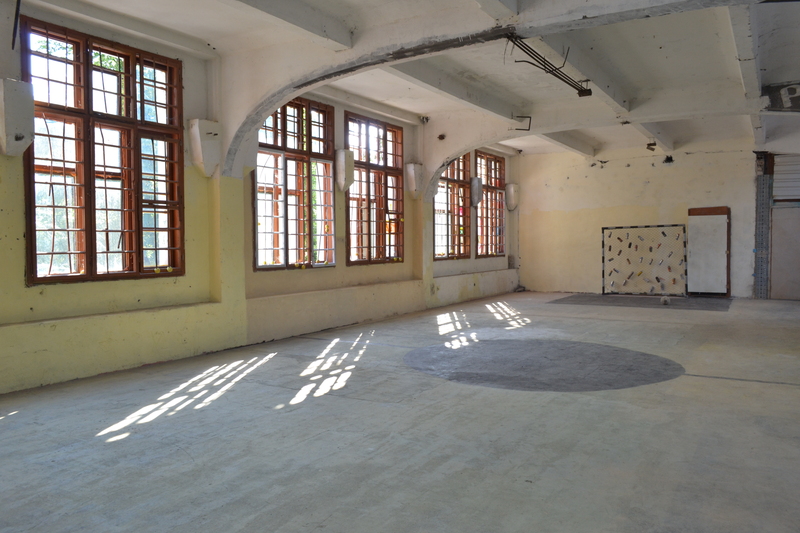 This former barracks for the Yugoslav army, turned art gallery turned nightlife complex, has its own fascinating history, and deserves to become the subject of a separate article. 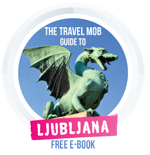 Ask any backpacker who has been to Ljubljana and they will have swung by this autonomous zone, that has similarities to Christiania in Copenhagen, or Uzupis in Vilnius. Essentially a series of out houses, each building boasts its own bar or club at night, and each is covered head-to-toe with at times beautiful and at other times grotesque art… I particularly loved the walls that were covered in a trencadis effect of tiles, plates and bits and bobs, that would make Gaudi proud. 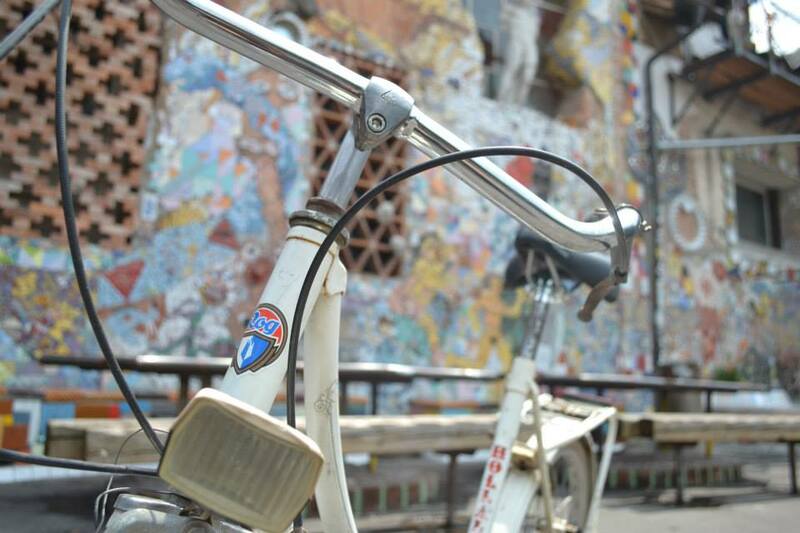 Metelkova also famously has it’s own youth hostel, that used to be a military prison. After all this exploring, it’s time to head back to town and grab a drink. We stop off, appropriately enough at Tozd, “one of those hipster places” (says Tevs), which has fixie bikes glued to the walls, not to mention an impressive menu of local artesan ales. 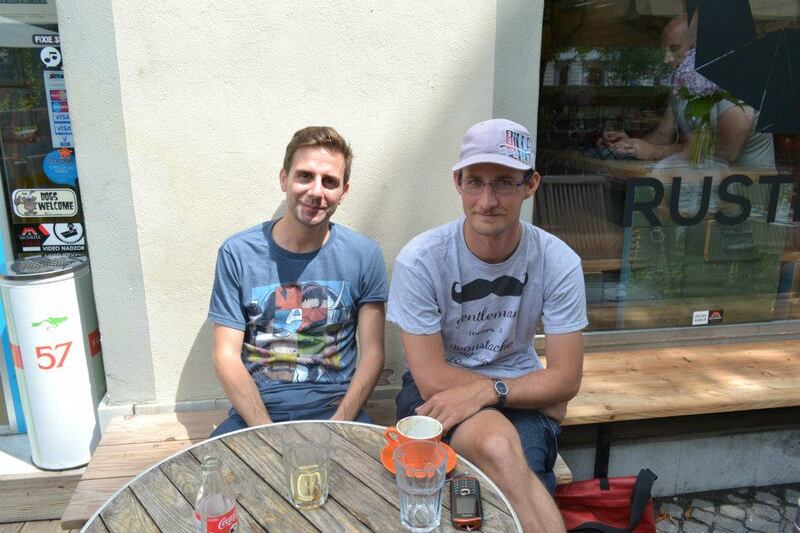 As we sit facing the river, I take the chance to ask Tevs a bit more about the ins and out of biking around town. The city is also really flat and I didn’t see much of what I would consider heavy traffic (although coming from London, I may have a skewed view of what this constitutes). I can definitely see why locals would choose a bike as their main means of transport. But what about for tourists? For those on a casual weekend break, is it really worth hiring a set of wheels? Naturally all of those sites feature on Tevs regular Watermelon Bike Tour, so check out their website for more info. If my bespoke tour was anything to go by, you’ll have a lot of fun and get a great insight into the city at the same time. If you’re lucky Tevs may even let you roll out on one of his three functioning Rog Holland bikes! Finally, you can also read more about Watermelon and several other great tours on TheTravelHack.com. 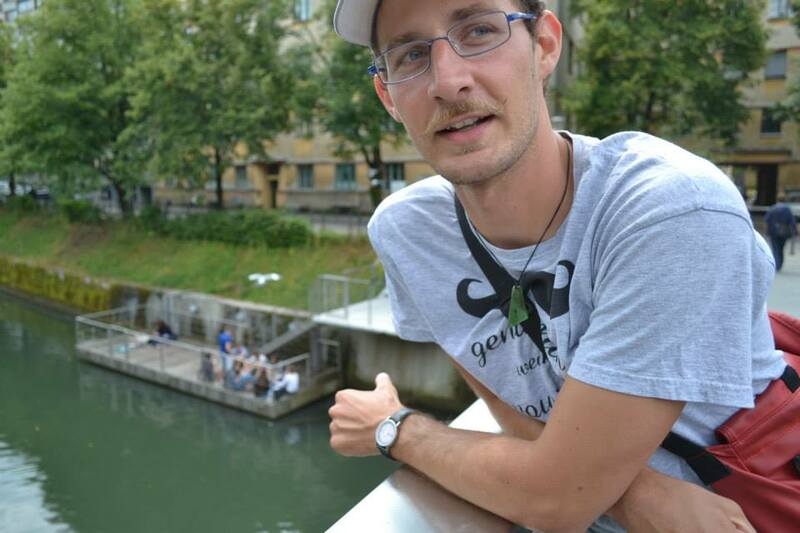 Duncan travelled to Slovenia as part of the #TasteLjubljana project organised by The Travel Mob and Visit Ljubljana, and you can read more about the project here. He flew from Barcelona El Prat to Venice Treviso with Ryanair, where he was picked up by the excellent (and very affordable) shared transfer service offered by GoOpti to Ljubljana (in fact they can also pick you up from Zagreb, Bergamo, Milan, Bologna, Munich and Vienna airports, giving travellers lots of options on getting to LJU, even if you can’t find a direct flight). For more help with flights it could be worth trying a comparison site, like Momondo, to throw up more options and check different airlines’ prices. Duncan stayed at Hotel Meksiko, a comfortable and well-located budget hotel, with great staff, just ten minutes walk from the old town.